Last year, Hawaii's fourth-largest island, Kauai, passed a local ordinance restricting the use of pesticides and genetically modified crops. But,a federal judge has ruled the county overstepped its legal authority — which has potentially huge implications for whether local communities across the U.S. can ban GMO crops. The Kauai County ordinance known as Bill 2491 or Ordinance 960 required agricultural companies and farmers to publicly disclose information on pesticide use, as well as the location and types of GMO crops being grown on the island. The law also required companies using large amounts of pesticides to establish buffer zones around sensitive areas, including schools and hospitals. Anyone who failed to comply with the law would face penalties, including jail time. "This decision in no way diminishes the health and environmental concerns of the people of Kauai. The court's ruling simply recognizes that the state of Hawaii has established a comprehensive framework for addressing the application of restricted-use pesticides and the planting of GMO crops, which presently precludes local regulation by the county." Both sides of the case are claiming some degree of victory, and both sides are carefully scrutinizing the decision for hints on how Judge Kurren will rule on an even bigger issue: a comprehensive ban of all future GMO crops on the "Big Island," the County of Hawaii. A couple of months ago I wrote that, if you wanted a glimpse of the future food wars, you should look to Hawaii, which has emerged as ground zero for the battle over genetically modified crops. And with this recent legal decision, that battle has entered a new phase. There's a reason why Hawaii is fertile ground for the GMO debate. The subtropical climate — which is ideal for cash crops such as papayas, bananas and orchids — is also a thriving environment for weeds, insects and diseases. The papaya industry was nearly decimated by the ringspot virus in the 1990s until scientists engineered a disease-resistant variety, the "Rainbow papaya." In short, this is a state where farmers appreciate what GM crops have to offer. And, the GMO producers appreciate what Hawaii's climate has to offer. All the major agrotech companies are there because developing a new seed variety can require 10 to 12 growth cycles, which translates into 10 to 12 years on the mainland. In sunny Hawaii, 2 to 4 growth cycles can be squeezed into a single year, significantly reducing the time required to bring seeds to market. Seed crops in Hawaii are worth more than $200 million, and most of those seeds are GM corn being developed for traits such as drought-resistance. An estimated 90% of all corn grown in the U.S. has been genetically modified, and each of those seed varieties spent some time being field tested in Hawaii. 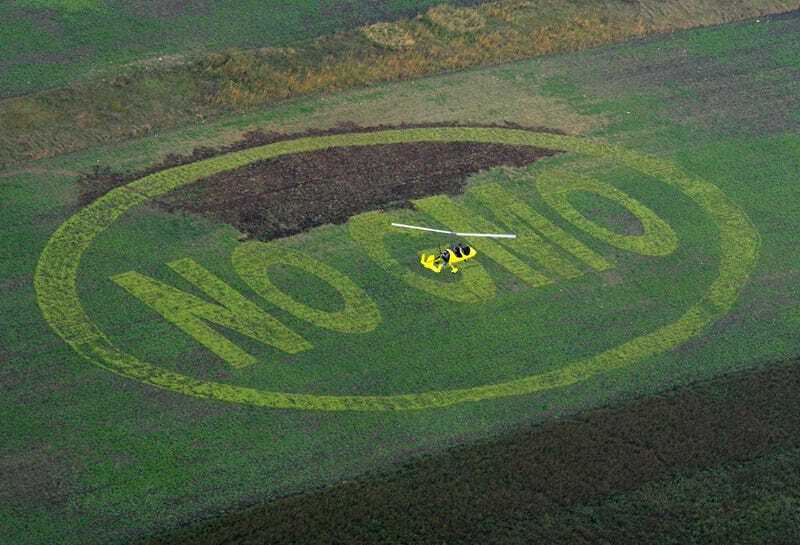 But anti-GMO activists have been pushing back, claiming that the crops are a threat to the environment and health. Last December, the County of Hawaii passed a law banning all future GMO crops on the island and requiring that all farmers register their fields of existing GMO crops with a detailed description of where each of them is located. The farmers also had to pay an annual $100 registration fee per field. Anyone who violated the ordinance would have to pay a fine of $1,000 per day. This legislation is different from the ordinance that was struck down in Kauai in that it doesn't deal with pesticides and, more significantly, it bans anyone from planting any new genetically modified crops. So what does the federal judge's decision mean for the Big Island? "It seems to be not all bad news for the losers and not all good news for the winners," said Daniel Cole, an environmental law and economics professor at Indiana University. Biotech proponents would have prevailed more resoundingly in the lawsuit if the ordinance was struck down on grounds of federal preemption, said Cole. "If they won on federal preemption, that's the best, because it's so hard to change," he said. The opinion indicates that a state can preempt its counties from requiring GMO disclosure, but the state itself can implement such a requirement without running afoul of federal law. The ruling about Kauai's regulations may also have implications for litigation over an even more controversial ordinance in Hawaii County that actually prohibits GMOs — particularly since the same judge is presiding over both lawsuits. "If the judge has ruled that an annual (GMO disclosure) report is preempted, that seems to hint that the judge would rule that a ban, which is a more serious impediment, is preempted," said Drew Kershen, an agricultural biotechnology law professor at the University of Oklahoma. The United States does not have any federal legislation that is specific to genetically modified organisms (GMOs). Rather, GMOs are regulated pursuant to health, safety, and environmental legislation governing conventional products. The U.S. approach to regulating GMOs is premised on the assumption that regulation should focus on the nature of the products, rather than the process in which they were produced. In effect, the legal dispute is predicated on whether states and local governments can demand that GMOs meet stricter standards for health and safety than those stipulated by federal regulatory agencies. If Judge Kurren strikes down the Hawaii law, arguing that the county overstepped its legal authority, activists can push the state legislature to impose a ban on future GMO crops. And if the Hawaii state legislature were to impose such a ban, then the battle would move from state governments to the U.S. Congress.